We are pleased to inform you that our new Oil, Gas & Chemicals laboratory on Linkeroever (Port of Antwerp – left bank of the Scheldt) will be operational as of 15 April 2019. The analysis activities are currently performed from our laboratory on the Polderdijkweg (Rechteroever), but thanks to this second base of operations, we can also serve you quickly from the other side of the Scheldt. 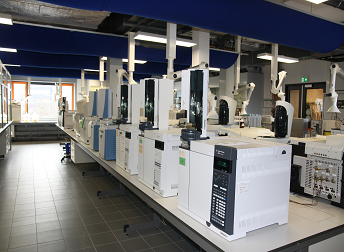 By opening a laboratory with a focus on chemical products and gases on Linkeroever, we facilitate faster and more efficient operations – for instance by accelerating lead time from sample to analysis result. You can also rely on a dedicated customer service team based at our new location to provide you with optimal service. As an independent partner, this laboratory is also located on our own SGS site, meaning we can guarantee continuity and stability at all times. If you have any further questions or would you like to know more, please don’t hesitate to contact us at be.ogc@sgs.com or on +32 (0) 3 575 61 44. At SGS we work with a unique combination of an EPS box and an EQ/LQ and/or UN approved fibreboard box which can be used for temperature-controlled transport of dangerous goods with dry ice or ice packs.